"Our team gives you possibility to go through the experience and recall those feelings you forgot long ago: see flawless nature, climb up the volcanoes, and breathe in the fresh ocean air. To experience something more than just having a rest, but also to understand how many meanings this word has. Here, where Russia begins, with us. If you feel like a real traveler, discoverer and you are ready to leave comfort and cope with difficulties of real hike – you are one of us!" Without tents route around Kamchatka do for tourists, who want to discover a brand new region in the World map, but prefer to stay in comfort conditions at the same time. 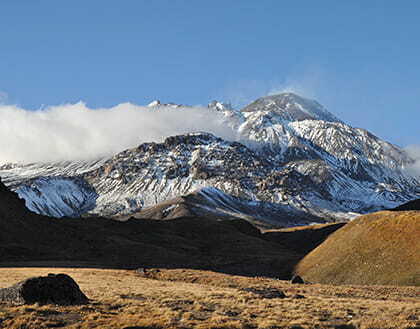 We have specially for you an active volcano, rafting with fishing, hot springs, bears and a lot of interesting things! 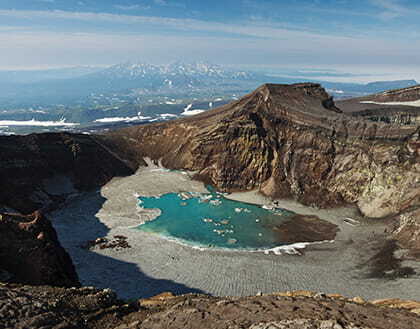 Tour Volcanoes of Kamchatka passes on remote Kluchevskoy Nature Park. You rarely meet tourists there because you are far from civilization. You may fully enjoy the views of wild nature and volcanoes. 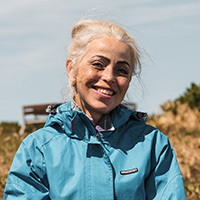 A wonderful trekking trail along Nalychevo Nature Park. 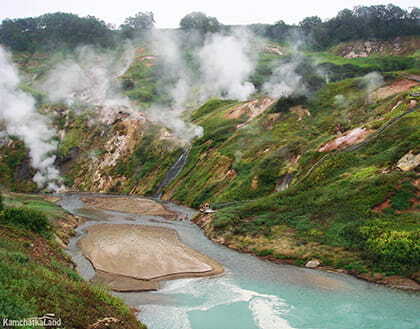 There you see real Kamchatka “jungles” and hot springs rising from the beneath of the ground. The trip is for anyone who would like to enjoy nature. 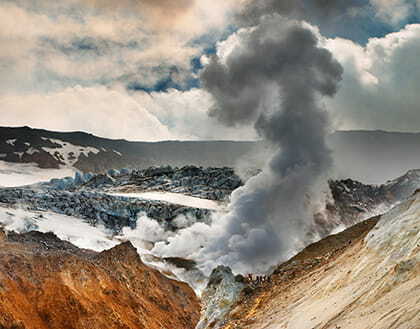 An amazing helicopter flight above the Valley of Geysers and Uzon volcanic caldera keeps in your mind forever. This place is one of the wonders of Russia. 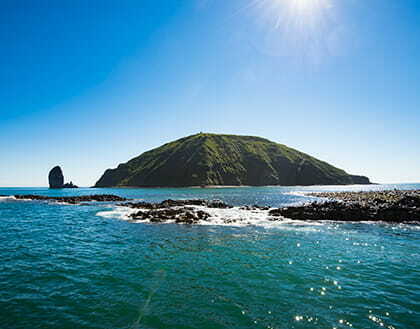 Our team invites you to take a yacht cruise along the shore of Kamchatka peninsula to Russkaya bay. You may see sea animals, even whales and orcas on the way. 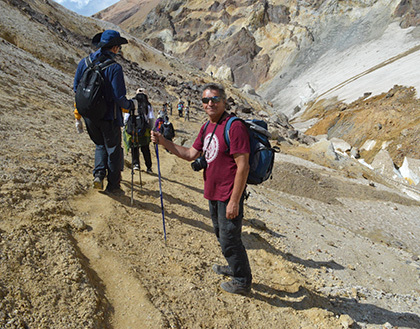 Climbing Tolbachik volcano for 4 days (including driving time). 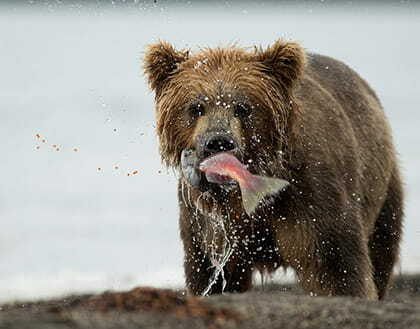 This is for those with limited time in Kamchatka. You will spend three nights in tents. Price: 30 000 rub rub. 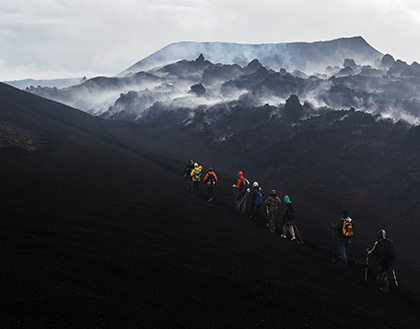 Climb one of the most awesome volcanoes in Kamchatka. This climbing is available for nearly all tourists. You'll see stunning sceneries and make discoveries that impress you for long. 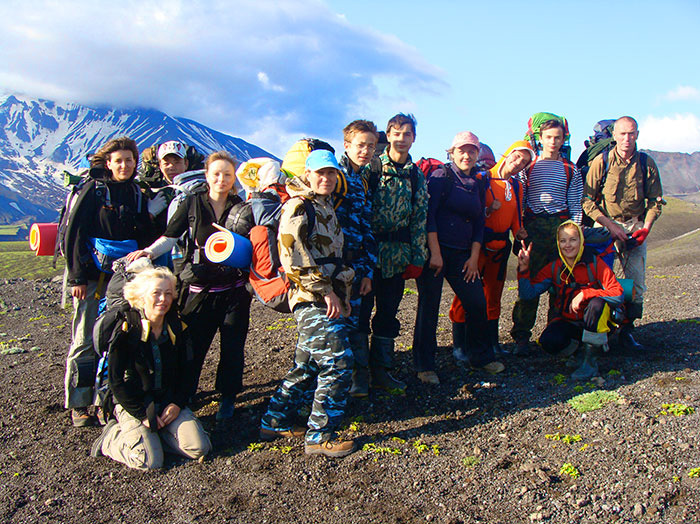 Climbing tour to Mutnovsky volcano reveal a secret of Earth interior and show what it was thousands years ago. 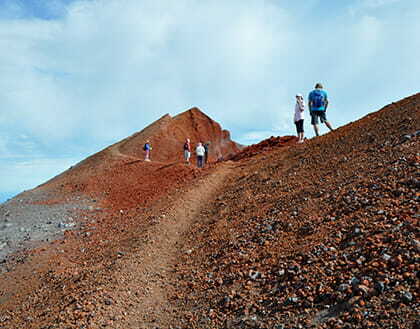 Easy hike, stunning views of Vilyuchinsky volcano, waterfall and soaking in wild hot springs. 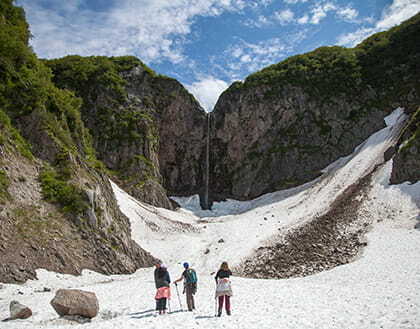 Climbing Avachinsky volcano, which has a height of 2741 meters, isn’t for the people with a weak spirit. The most persistent ones will be able to reach the top of the volcano. However, you will remember the panoramic view from the level of clouds for a long time. 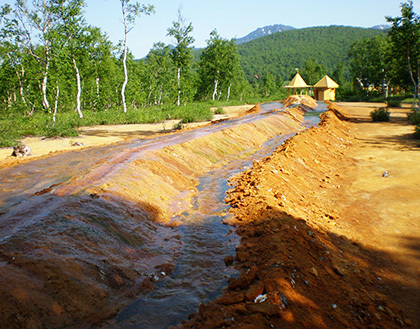 A trip to Dachnye hot springs, located near Mutnovsky volcano, is available even for tourists with children. 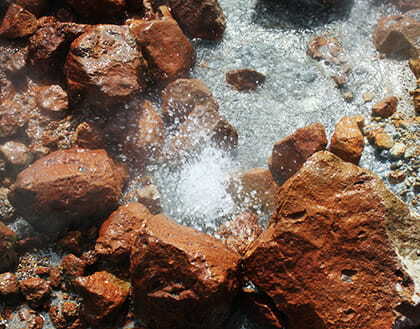 There you will be able to see different active processes, which happen to our Earth, such as: boiling mudpots, fountains, fumaroles, as well as steams rising up to the air. 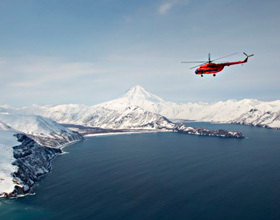 Are you going to spend your winter vacation in Kamchatka? 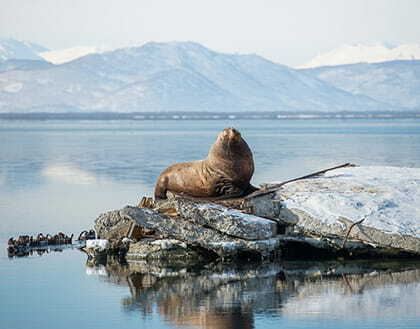 We have already made an interesting program for you: snow mobiles, snowcovered ocean shore, volcanoe, dogs and sea lions. All the beauty of winter adventure in one week tour. 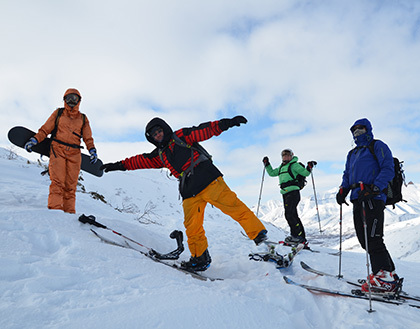 We offer adventure and winter lovers to visit a new freeride spot – Kamchatka. Here are unridden slopes, hot springs, red caviar, the Pacific Ocean and a lot of snow waiting for you. Price: 75 000 - 95 000 rub. 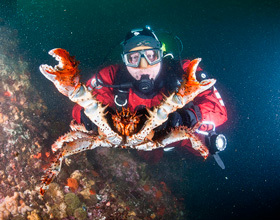 Diving at the eastern coasts of Kamchatka with sea inhabitants is possible now! Explore the underwater depths, along with our team. June-August 2016. During 7 days in our heli-skiing tour you will reach enlightenment, and dive into the nirvana. The endless snow fields, slopes of active volcanoes and hot springs will remain in your memory about the Kamchatka Peninsula forever. Do you want to taste Kamchatka’s fish soup that is made of your own catch? Then you need just this Tour. In addition, we will explore two active volcanoes (Gorely and Mutnovsky) and the eastern coast of Kamchatka, but it will be done on a shipboard. Don't know what to choose and where to start? Describe your perfect tour and we will arrange it. Our team have been growing up and developing for 7 years. We are very happy to hear words of thanks from every visitor in our part of the world as an answer for our work. We see your emotions, listen to your wishes and take them into account in our tour programs. Thanks to you, the programs become more interesting with each year. Having gathered the whole obtained experiences our guides planed their itineraries. There are no random places and everything is thought over to the last detail there. 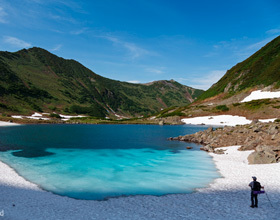 This feature of author's itineraries allows us to dip you not only into the atmosphere of Kamchatka nature but into its history. You’ll not just have a route! You’ll know how eruption happens, interesting facts about peninsula history, about wild animal behavior and also various tales and real stories of guide’s life. The complexity of routes is considered as a medium and lower level by the standards of Kamchatka. We travel over long distances with all the travel gears and kitchen utensils by prepared vehicles and we have radial trails to the most stunning places on the spots. A cook is working on these routes, we have a lot of food and after excursion a hot dinner will be waiting for you in a camp. 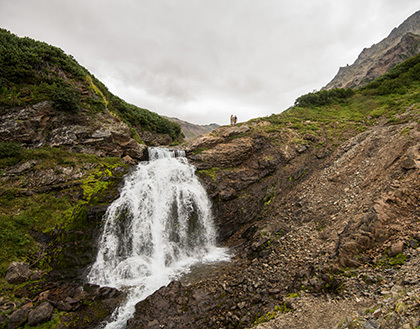 The advantages of a multi-day camping trip are: the remotest places and wild landscapes, teamwork and a reasonable price thanks to the limitedness of transport component and other resources. Join us! Kamchatka winter is lasting for not three months as we used to think. The mountains have its first snow in early October and it melts only by June. This is the real North! If you go on winter holiday, you will definitely take a real adventure and feel a burst of energy. Choose among prepared offers. There are the places where we can’t get to by car and it will take more than a week if we go on foot. 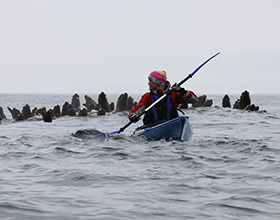 These are such unique natural objects as the Valley of Geysers, Kurile Lake and real settlements of aborigines. 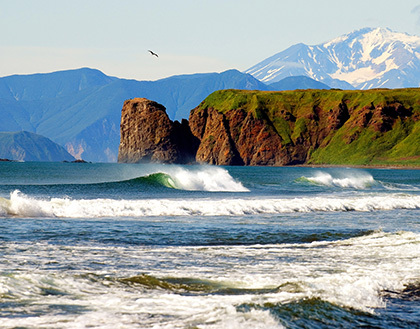 Kamchatka is a peninsula surrounded by big water. From the earliest times the life of inhabitants was more or less linked to the ocean. It was their source of food, resources and the only means of transportation system and also gave them hope and life itself. The depth of the ocean has countless wealth and a whole unidentified world. 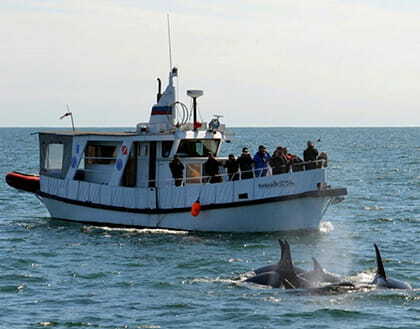 During our boat tours you will learn another side of Kamchatka: the bluffs which had its rise in the water’s edge; sea animals that don’t afraid of people; you will feel the real power of the sea. One-day tour is suitable for those people which go to Kamchatka on business, visit their friends, kinsfolk or wants to add a new point on the map I their main tour. If our group tours to Kamchatka don’t suit you for some reasons, for example, you want to go on a journey by your small and tight-knit group and make a unique route, we are ready to develop a travel program just for you with all our hearts and our large experience: sea cruises, horse walks, survival in the wild and also shooting the video in Kamchatka. We accept any nonstandard and cool offers, call us. At first you need to send the application for the tour you like through online booking form or by letter via email en.kamchatkaland@gmail.com. We will answer all your questions and develop a tour program. After choosing a tour you will buy a ticket to Petropavlovsk-Kamchatsky on the date of tour beginning. The best way is to take the earliest flight. Pay attention, the cost of our tour doesn’t include air flight. 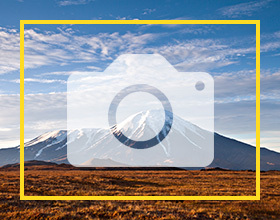 We are arranging the trips only across Kamchatka from arrival to departure at the airport. Send a copy or a photo of the ticket to us in order that we will be able to know the flight number and the time of your arriving. You will be met by our guide who will be with you throughout your stay here. Under the treaty, depending upon the tour you chose, you need to pay an advance payment in the amount of 50 per cent to confirm your booking. The rest of the payment is paid not later than 30 days until tour begins.